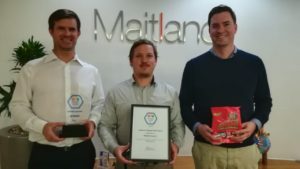 Maitland Group wins the Corporate Challenge Trophy. 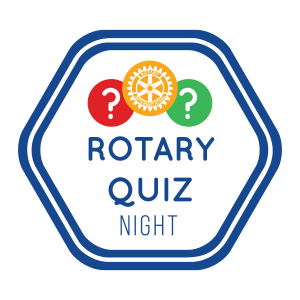 On Tuesday 28 August, Les Quiserables won the Rotary Club of Wynberg’s 5th Rotary Quiz Night with a grand total of 64 piping teams “I thought this was speed dating” and “The Motley Crew” by 2 points. Waterfront Rotary took best Rotary team and Maitland Group the Corporate Trophy. 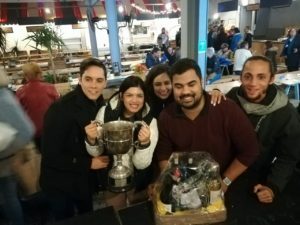 This year the Rotary Quiz Night celebrated its 5th Birthday at the Earth Fair Market in Tokai helped raise more than R12 000 in funds for Library Corners for Schools in Cape Town. With a record crowd of over 240 people the venue was packed with food stalls Ciao Bella and Rack ‘n Grill being kept busy with orders, the event was a success and was very entertaining. This year we introduced “POP a Balloon”. Pop a Balloon saw participant buy lucky tickets to enter a draw only to have to come up and pop a balloon to find out what they have won. Some balloons even required them to answer a pop question in order to claim the prize. This was a blast with participants walking away with great prizes sponsored by the Cape Wheel, Two Oceans Aquarium, Woodstock Brewery, Plumstead Pick ‘n Pay, Muizenberg Surf Shop, Cattle Baron, Mugg and Bean Constantia and Uitsig Bike Park. We had 2016 and 2017 reigning champions SEEFF Properties Southern Suburbs back again to challenge for a record 3rd successive title, this was not to be and fell down to 15th this year with new team Les Quiserables claiming top prize, Maitland Group’s Pow wow Now taking the Corporate Challenge Trophy and Waterfront best Rotary Club. Our Smartie teams Constantia Geniuses were very sporting and managed enjoy last place with a consolation box of Smarties each. 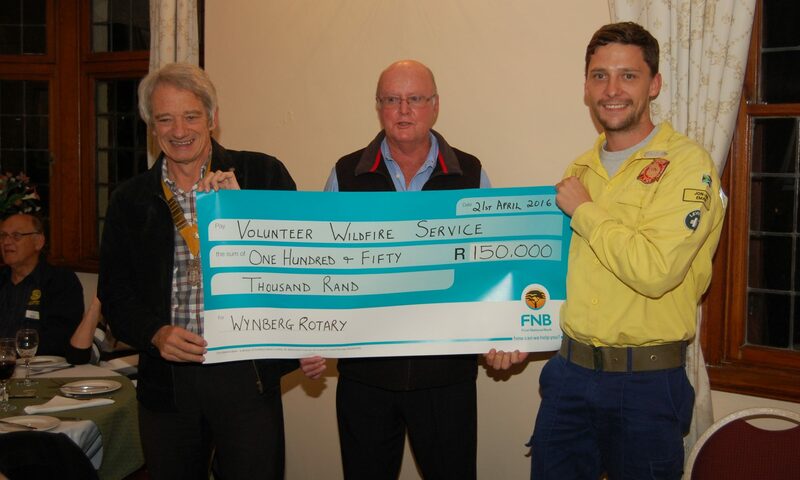 The Rotary Club of Wynberg was amazed to see all the teams who supported our quiz and many for all 5 years! The best dressed table to share in the birthday spirit was NEWROT Nerds of the rotary Club of Newlands dressing up and even trying to convince the judges with cake in true 4-way test way. To all who attended the event, sponsored services and prizes and time I wish to send a big Thank You to all. We hope to see you back again 2019 just keep a look out for our mails and posts on Facebook. Previous PostPrevious Rotary Africa – What a read! Next PostNext Last Night of the Proms Lights up City Hall!